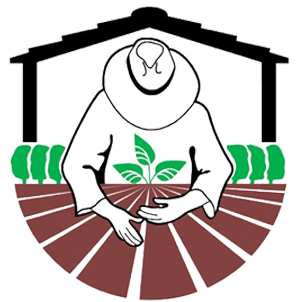 House Farm Workers!, The Center for Community Engagement at Cal State University, Channel Islands (CSUCI), and the Chicana/o Studies Department put together the Farm Worker Immersion Project. CSUCI students had the opportunity to learn about Ventura County agriculture, what it’s like to work in the fields, farm worker access to health services and the importance of safe, decent, affordable housing for our farm worker community. We were given the opportunity to have Reiter Affiliated Companies provide a training on picking strawberries at one of their farms in Oxnard, as well engage in a typical Sembrando Salud health training, which is provided to the workers during their lunch time. Cabrillo Economic Development Corporation gave us a tour of Villa Cesar Chavez, a beautiful community for farm worker families. The participants were then given the opportunity to put what they learned into action by joining our House Farm Workers! Young Advocates committee. We all left feeling humbled and incredibly grateful to all our farm worker families. Thank you to all our partners for this informative experience. House Farm Workers! and CSUCI plan to continue this project annually. Check out our facebook page for more photos. We are excited to give a $1,000 scholarship each to two college bound or current college students whose parents are farm workers in Ventura County. This scholarship reflects our commitment to making sure our farm worker families can thrive. The scholarship is named in honor of Ellen Brokaw, founding chairwoman of House Farm Workers! A prominent member of Ventura County’s agricultural community, involved in production of lemons, avocados and nursery stock, she has been an inspirational leader in the long campaign to improve the lives of farm workers and their families. The winners will receive the scholarship at our 6th Annual From Field to Fork Dinner on July 21, 2016. We are registered on Amazon Smile, so set your organization to House Farm Workers! For eligible purchases at AmazonSmile, the AmazonSmile Foundation will donate 0.5% of the purchase price to us. You must browse and purchase from the amazon smile webpage for the donation to occur. On May 12, the California Housing Partnership Corporation (CHPC) released reports analyzing housing needs in nine California counties (Alameda, Fresno, Los Angeles, Orange, Sacramento, San Diego, San Joaquin, San Mateo and Ventura). The reports describe a rapid escalation in rents that in combination with a dramatic decline in state and federal funding has led to a shortage of more than a million affordable homes in these nine counties. Cuts in annual federal and state funding have reduced Ventura County’s investment in affordable housing production and preservation by 79%. Median rent in Ventura County has increased 23% since 2000, while median renter household income has declined 8%, when adjusted for inflation. Ventura County’s lowest-income renters spend 69% of income on rent. Ventura County needs 26,492 more affordable rental homes to meet the need!